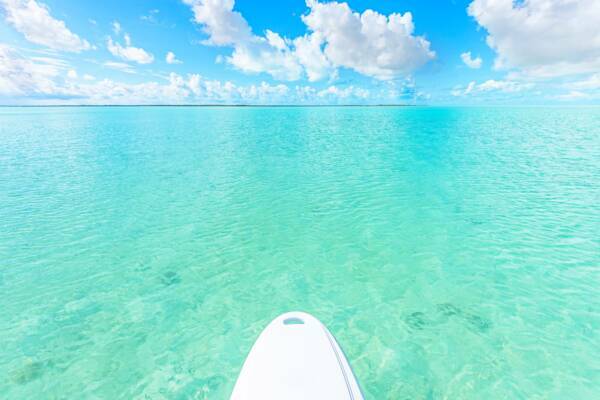 Paddle boarding in the Caicos Cays. The beautiful and calm waters of Bell Sound Nature Reserve at South Caicos. Stand up paddle boarding is a very popular water sport in the Turks and Caicos, and South Caicos is an amazing destination for the activity. Both kayaks and paddle boards are available on the island, and selecting the right water craft is largely dependent on the user’s preferences. Kayaks track very well and are typically more efficient for covering distances, yet paddle boards offer a much better view of sea life due to the user’s greater height over the water. There’s a great selection of interesting and beautiful paddling locations at and around South Caicos. The tranquil waters of Bell Sound are a very safe and comfortable paddling location. This sheltered lagoon and nature reserve offers great vistas and the beautiful island of Horse Cay, which has a secluded beach on its west side. 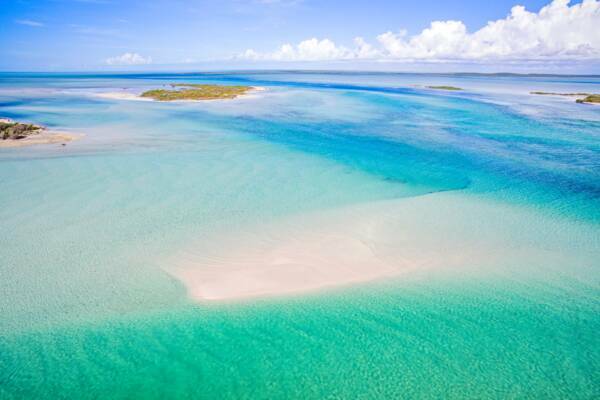 North of South Caicos, the brilliant channels between the uninhabited islands of Plandon Cay, Middle Creek Cay, and McCartney Cay offer one of the most picturesque settings in the Turks and Caicos. Jerry Camp, a water access and landing on the northern peninsula of South Caicos, is the best way to access Plandon Cay Cut. The channels between these cays are an amazing environment for a wide array of ocean life, from conch, to fish, turtles, sting rays, eagle rays, and sharks. The beach at East Bay is another scenic paddle boarding and kayaking location, especially during calm weather conditions. There’s a white sand beach, turquoise water and sea grass beds, a rocky island out in the bay, and the surrounding coastal cliffs to explore. When the ocean is particularly flat, another viable destination is Dove Cay and the national park islands of Long Cay near Cockburn Harbour. 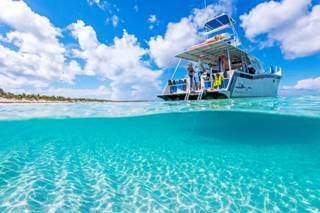 Dove Cay is located close off of South Caicos, and offers a beach, great views, and interesting snorkelling. Long Cay is found less than half a mile (.75km), and is a very long and narrow cay with incredible turquoise ocean water, white sand beaches, iguanas, and breath-taking vistas. Long Cay is part of the Admiral Cockburn Land and Sea National Park. When ocean and wind conditions are abnormally calm, the cliffs and reefs off of The Highlands, which is the far south-eastern point of the island, can be quite interesting. This region is best accessed by land from the East Bay area, and can be found by following the secluded coast of beaches and cliffs to the east. Aerial view of the incredible Plandon Cay Cut region near South Caicos. South Caicos is beginning to forge a reputation as an eco-tour destination, and deservedly so. The sounds, channels, and verdant mangrove estuaries are teeming with bird and ocean life. Big Blue Collective, the premier eco-tour company in the Turks and Caicos, offers custom paddling adventures from South Caicos upon special request. Bonefishing by paddle board or kayak is another activity that’s gaining popularity at South Caicos. The sounds and shallows north of South Caicos are teeming with bonefish, barracuda, permit, and even the occasional tarpon. Beyond the Blue, a South Caicos flats fishing charter company, has several Dragonfly paddle boards specifically equipped for fishing. The two largest resorts on South Caicos, Sailrock Resort and East Bay Resort, maintain kayak and paddle board fleets for their guests to use. 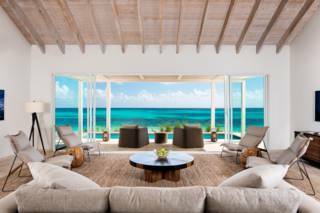 Sailrock Resort offers a unique day trip package from Providenciales, which include complementary use of non-powered water sports equipment and bicycles. The guided eco-tour companies that operate at South Caicos generally do not offer hourly rentals. Last reviewed by an editor on 5 February 2019.